The evidence comes from a new study that indicates a second and much earlier "whiff" of oxygen in Earth's distant past -- in the atmosphere and on the surface of a large stretch of ocean -- showing that the oxygenation of the Earth was a complex process of repeated trying and failing over a vast stretch of time. The finding also may have implications in the search for life beyond Earth. Coming years will bring powerful new ground- and space-based telescopes able to analyze the atmospheres of distant planets. This work could help keep astronomers from unduly ruling out "false negatives," or inhabited planets that may not at first appear to be so due to undetectable oxygen levels. "The production and destruction of oxygen in the ocean and atmosphere over time was a war with no evidence of a clear winner, until the Great Oxidation Event," said Matt Koehler, a UW doctoral student in Earth and space sciences and lead author of a new paper published in the Proceedings of the National Academy of Sciences. "These transient oxygenation events were battles in the war, when the balance tipped more in favor of oxygenation." In 2007, co-author Roger Buick, UW professor of Earth and space sciences, was part of an international team of scientists that found evidence of an episode -- a "whiff" -- of oxygen some 50 million to 100 million years before the Great Oxidation Event. This they learned by drilling deep into sedimentary rock of the Mount McRae Shale in Western Australia and analyzing the samples for the trace metals molybdenum and rhenium, accumulation of which is dependent on oxygen in the environment. Now, a team led by Koehler has confirmed a second such appearance of oxygen in Earth's past, this time roughly 150 million years earlier -- or about 2.66 billion years ago -- and lasting for less than 50 million years. For this work they used two different proxies for oxygen -- nitrogen isotopes and the element selenium -- substances that, each in its way, also tell of the presence of oxygen. "What we have in this paper is another detection, at high resolution, of a transient whiff of oxygen," said Koehler. "Nitrogen isotopes tell a story about oxygenation of the surface ocean, and this oxygenation spans hundreds of kilometers across a marine basin and lasts for somewhere less than 50 million years." 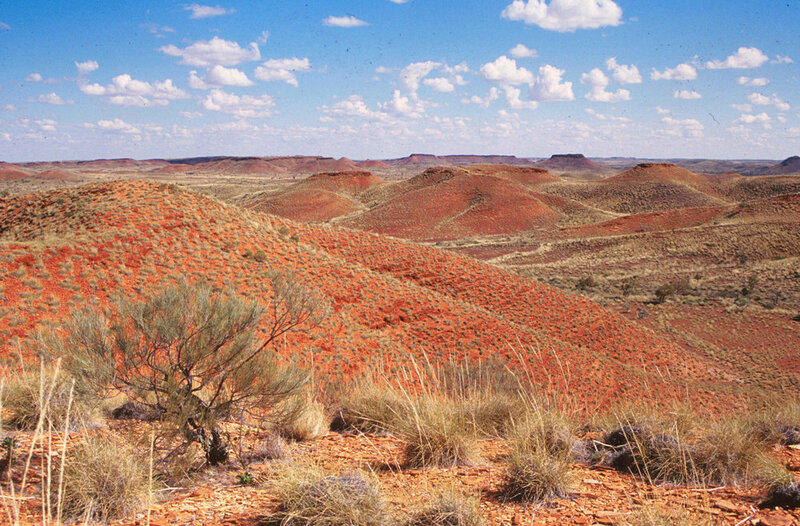 The team analyzed drill samples taken by Buick in 2012 at another site in the northwestern part of Western Australia called the Jeerinah Formation. 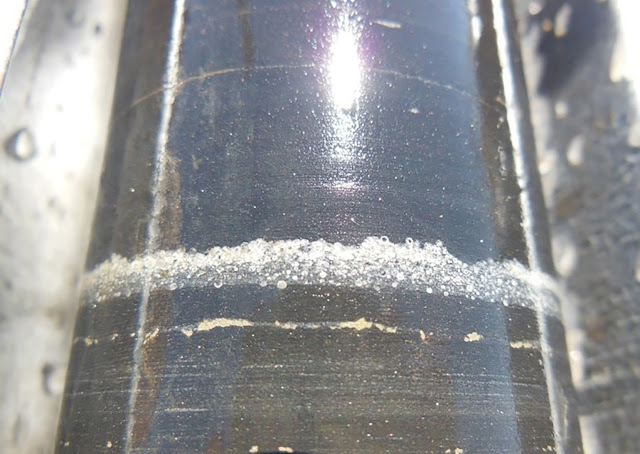 The researchers drilled two cores about 300 kilometers apart but through the same sedimentary rocks -- one core samples sediments deposited in shallower waters, and the other samples sediments from deeper waters. Analyzing successive layers in the rocks years shows, Buick said, a "stepwise" change in nitrogen isotopes "and then back again to zero. This can only be interpreted as meaning that there is oxygen in the environment. It's really cool -- and it's sudden." The nitrogen isotopes reveal the activity of certain marine microorganisms that use oxygen to form nitrate, and other microorganisms that use this nitrate for energy. The data collected from nitrogen isotopes sample the surface of the ocean, while selenium suggests oxygen in the air of ancient Earth. Koehler said the deep ocean was likely anoxic, or without oxygen, at the time. The team found plentiful selenium in the shallow hole only, meaning that it came from the nearby land, not making it to deeper water. Selenium is held in sulfur minerals on land; higher atmospheric oxygen would cause more selenium to be leached from the land through oxidative weathering -- "the rusting of rocks," Buick said -- and transported to sea. "That selenium then accumulates in ocean sediments," Koehler said. "So when we measure a spike in selenium abundances in ocean sediments, it could mean there was a temporary increase in atmospheric oxygen." The finding, Buick and Koehler said, also has relevance for detecting life on exoplanets, or those beyond the solar system. "One of the strongest atmospheric biosignatures is thought to be oxygen, but this study confirms that during a planet's transition to becoming permanently oxygenated, its surface environments may be oxic for intervals of only a few million years and then slip back into anoxia," Buick said. "So, if you fail to detect oxygen in a planet's atmosphere, that doesn't mean that the planet is uninhabited or even that it lacks photosynthetic life. Merely that it hasn't built up enough sources of oxygen to overwhelm the 'sinks' for any longer than a short interval. "In other words, lack of oxygen can easily be a 'false negative' for life." Koehler added: "You could be looking at a planet and not see any oxygen -- but it could be teeming with microbial life."